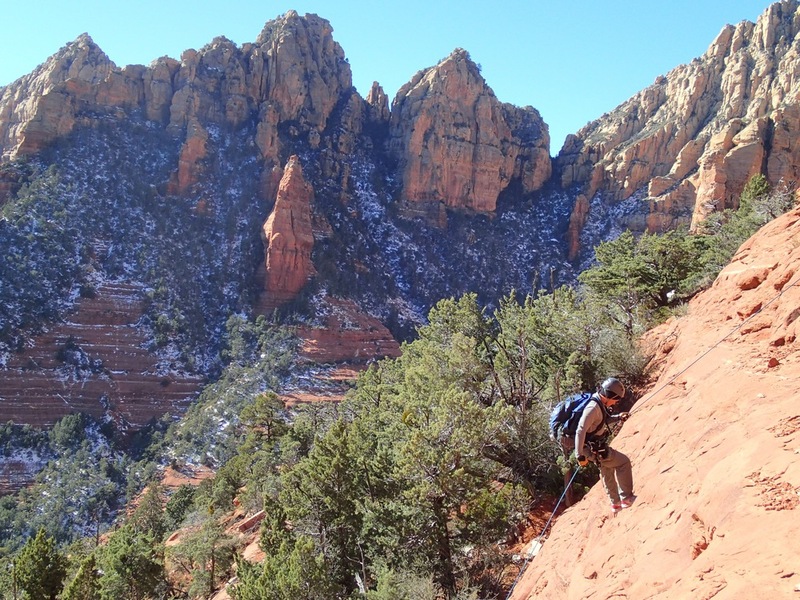 Wilson Mountain is a fun, dry trip to run on a cold winter day. Parking at the Midgley Bridge will have you sitting at the start of the trail that can be followed up the mountain about half way or so where you can begin your technical descent. 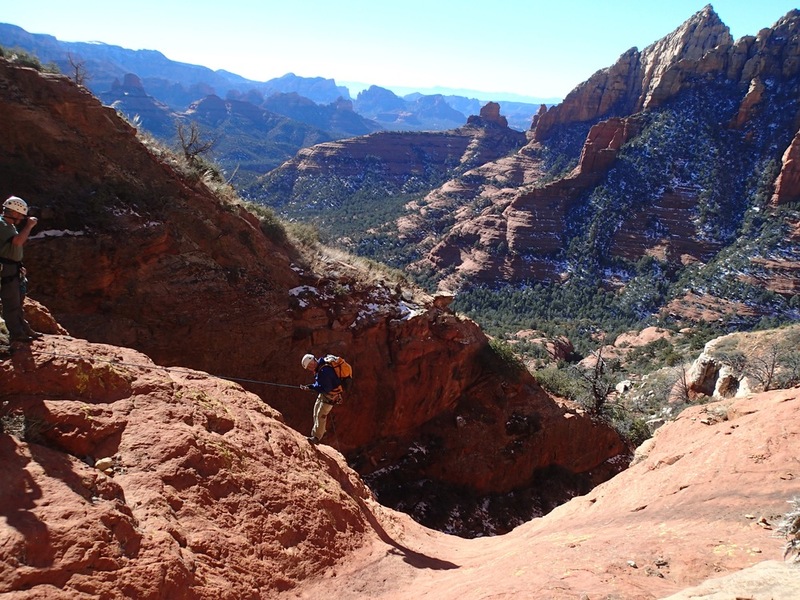 Although this trip does not have the feel of a "Traditional" canyon with walls soaring on each side, it is still a great trip that can be considered a Technical hike with great views of the Sedona Red Rock in all directions. 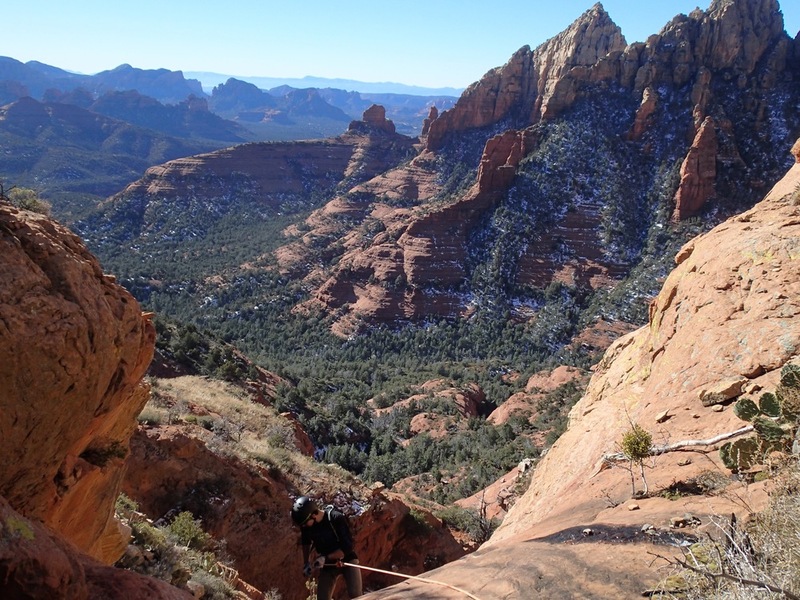 The hike in is fairly straight forward with a few rock faces that you can easily claw your way up and over. 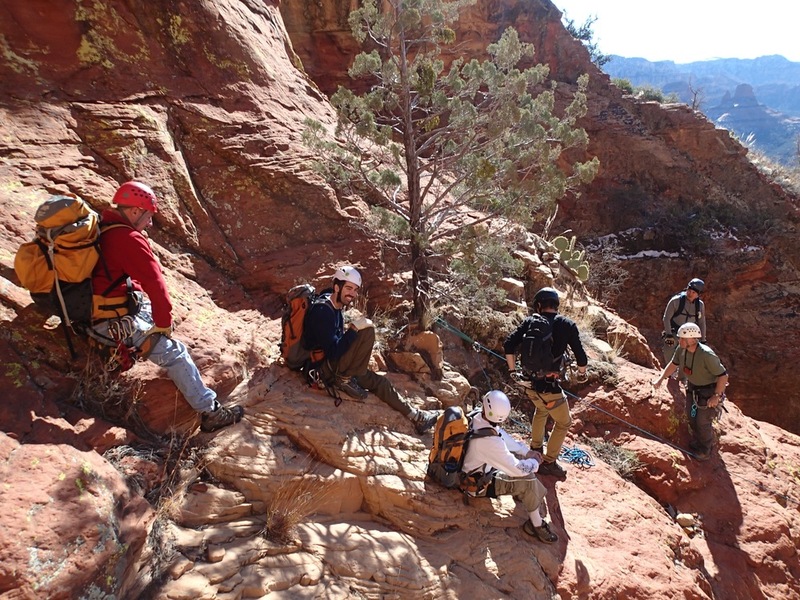 At one point you will climb up and over a small ridge and then make your way through the brush to the first rappel. There are a few areas throughout the trip where it seems to open up and you may find your self wondering where the next drop is, just keep looking around and you should find a webbing anchor or, if missing, several opportunities where a bomber natural anchor can be easily rigged. Once through the technical section you will soon find the trail you hiked in on and it will quickly take you back to your vehicle. Being bored and having lots of rope we could not help but rig a anchor from a tree across from the Midgley Bridge parking lot where we dropped down to the creek below. Here you will find a nice section of creek to walk next to that will eventually lead you to a well used trail that leads back to the parking area.